At around fourteen years old, students make a leap in their concentration and conceptual grasp of academic ideas; this moment in their education is a wonderful opportunity for them to start developing and exploring their interests further. Whether a student is studying the British curriculum, the IB Middle Years programme or another qualification, this is an important turning point in the formalisation of academic study. Students start to distinguish between arts, humanities, languages and sciences – and particular strengths may emerge. It can be an academically intense time, due to the large number of subjects taken and the level of independent study required. Regardless of which curriculum the student is following, our inspiring tutors will make sure that they flourish academically. We cater for every exam board and curriculum. The syllabus varies slightly between iGCSE, GCSE and significantly from the IB Middle Years Programme as well as between the exam boards AQA, EDEXCEL and OCR. 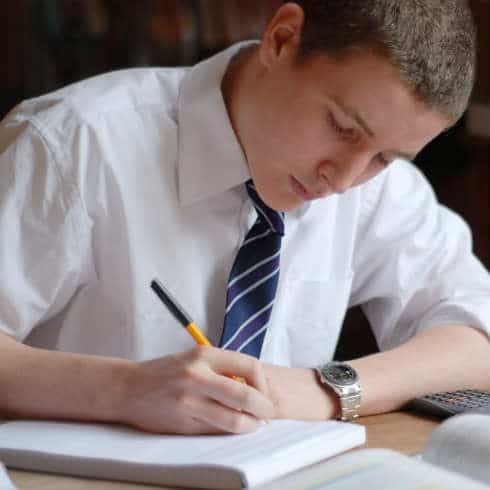 We support students in all subjects and levels for the GCSE, IGCSE, IB Middle Years Programme and US curriculum. Our experienced tutors will help children prepare for exams, boost weaker subjects or offer support throughout the year.